Herbert Diess, Volkswagen's new CEO addresses, the media during a news conference at the company's plant in Wolfsburg, Germany, April 13. As the company turns the page from its diesel emissions cheating scandal, it says its future is electric. The Volkswagen e-Golf electric car is on display at the 2017 Frankfurt Auto Show in September. The company admitted to installing "cheat devices" that covered up how polluting its diesel vehicles were. Michael Horn, who was then the CEO of Volkswagen Group of America, took to a Brooklyn stage in 2015 for what would be the first of many apologies by company leaders. "Our company was dishonest with the EPA and the California Air Resources Board and with all of you," Horn said. "And in my German words, we have totally screwed up." To fix the "screw-up," VW has paid more than $20 billion in fines and settlements. There are still ongoing investigations in Europe. Last week, German authorities raided the headquarters of Porsche (a Volkswagen subsidiary) on suspicion of fraud and the manipulation of diesel emissions tests. "They needed to really walk away from diesel," he says. Before the diesel scandal, he says, the company didn't seem that interested in electric cars or fuel economy. 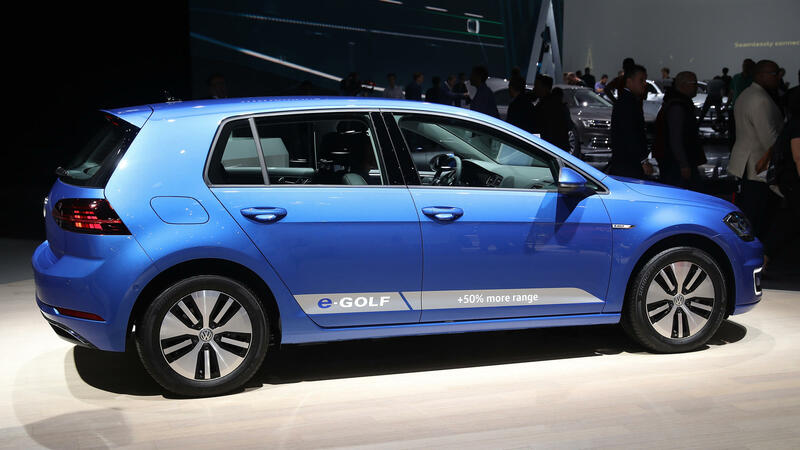 VW had an electric car, the e-Golf, but Fisher says it was just window dressing. "They took a Volkswagen Golf, they put some batteries in it and really just did it so ... they could have an electric car," he says. 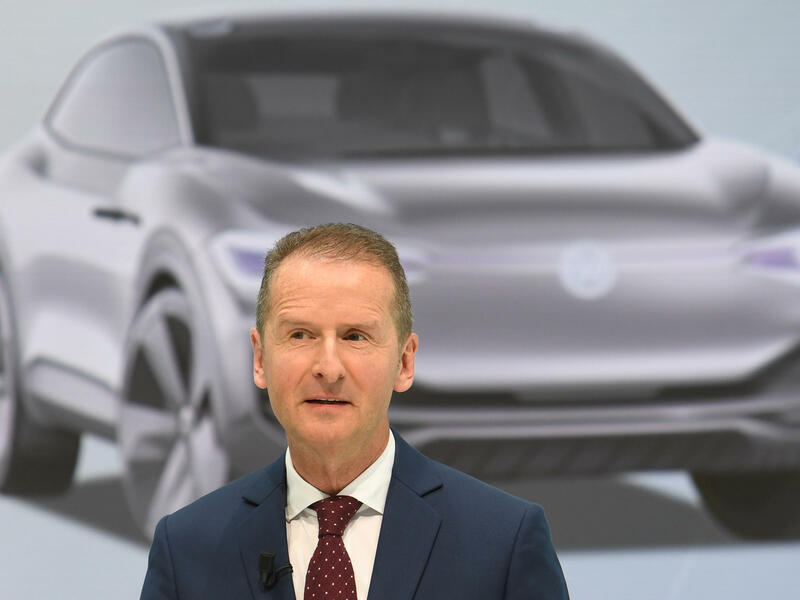 Matthias Erb, VW's chief engineering officer in North America, says that nearly every brand and segment of the company will get some sort of electric offering. "Electrification is going to be the powertrain of the future," he says. He admits that as terrible as the VW diesel scandal was for the company, it "supported and accelerated those conversion processes in the direction of electrification." Joel Levin with Plug In America, a group that advocates for electric car owners, is skeptical about VW's plans. "All the things that they're talking about and the investments that they're making sound very exciting, but I want to see the cars come out," Levin says. He notes that most major automakers are "talking about making big investments and moving to electric." Levin has two words for Volkswagen and the others: "Show me." I think we've had this headline before. Volkswagen is trying to move on from its diesel scandal - again. VW admitted two years ago to installing devices in its diesel vehicles that falsely improved their emissions tests. Now it's moving on to electric cars. Here's NPR's Sonari Glinton. SONARI GLINTON, BYLINE: Volkswagen's diesel scandal is one of the biggest consumer fraud cases in U.S. history. Just days after it was discovered that VW's supposedly clean diesel cars were anything but clean, it was an existential crisis for the company. Here is the then-head of VW North America, Michael Horn. MICHAEL HORN: Our company was dishonest with the EPA and the California Air Resources Board and with all of you. And in my German words, we have totally screwed up. GLINTON: OK, that was the - only the half of it. The company had to pay over $20 billion in fines, and there's still ongoing investigations in Europe. JAKE FISHER: With Volkswagen, it was almost, that time was perfect for them. They needed to really walk away from diesel. GLINTON: Jake Fisher is director of auto testing at Consumer Reports. He says before the diesel scandal, the company didn't seem that interested in electric cars or fuel economy. They had an electric car, but Fisher says it was just sort of window dressing. FISHER: If you look at the e-Golf, it was really a compliance car. They took a Volkswagen Golf, they put some batteries in it and really just did it so they could have an electric car. GLINTON: Fisher says, in many ways, the diesel scandal allowed VW to pivot. Not only were they invested heavily in diesel, but they had been for years. And you think of the other brands that Volkswagen owns, like Bentley, Porsche, Lamborghini, well, performance and style trump fuel economy. But that has begun to change. Nearly every brand and every segment, from affordable small cars to SUVs and luxury, VW has an electric version either in production or in the works. FISHER: They were so heavily invested in diesels, they very quickly just stopped and just doubled down on electric vehicles. So that was a very quick shift, and they needed to do that. GLINTON: In the next 18 months, American drivers will get at least four electric vehicle options from Volkswagen. That's according to VW's chief engineering officer, Matthias Erb. MATTHIAS ERB: In my opinion, that is what we currently have been missing everywhere. This is playing the biggest role in our overall strategy. Electrification is going to be the powertrain of the future. GLINTON: Erb admits that as terrible as the VW's diesel scandal was for the company, it did push it towards electrification. ERB: We've been taking the diesel issue very seriously, and we spent more than $20 billion to make it right again. Of course, the experience out of this issue supported and accelerated those conversion processes in the direction of electrification. JOEL LEVIN: I think that all of the things that they're talking about and the investments that they're making sound very exciting, but I want to see the cars come out. GLINTON: Joel Levin is skeptical. He's with Plug In America, an advocacy group for electric car owners. He says he will reserve his right to be skeptical of Volkswagen or any carmaker, especially when it comes to making electric cars. LEVIN: It's easy to be skeptical of Volkswagen because, you know, they've got some kind of checkered history over the last few years. Pretty much every major manufacturer is talking about making big investments and moving to electric, but show me. GLINTON: And then it'll be for consumers to judge. Sonari Glinton, NPR News. Transcript provided by NPR, Copyright NPR.